Many organizations would have shied away from the transformation, but ABN AMRO saw FinTech companies nipping at their heels. Transformation was imperative to survival. 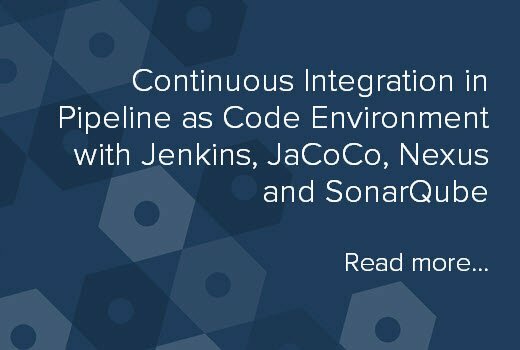 The setup for a Continuous integration pipeline... this is for mavenized Spring boot build with JaCoCo coverage reports and Sonar metrics.